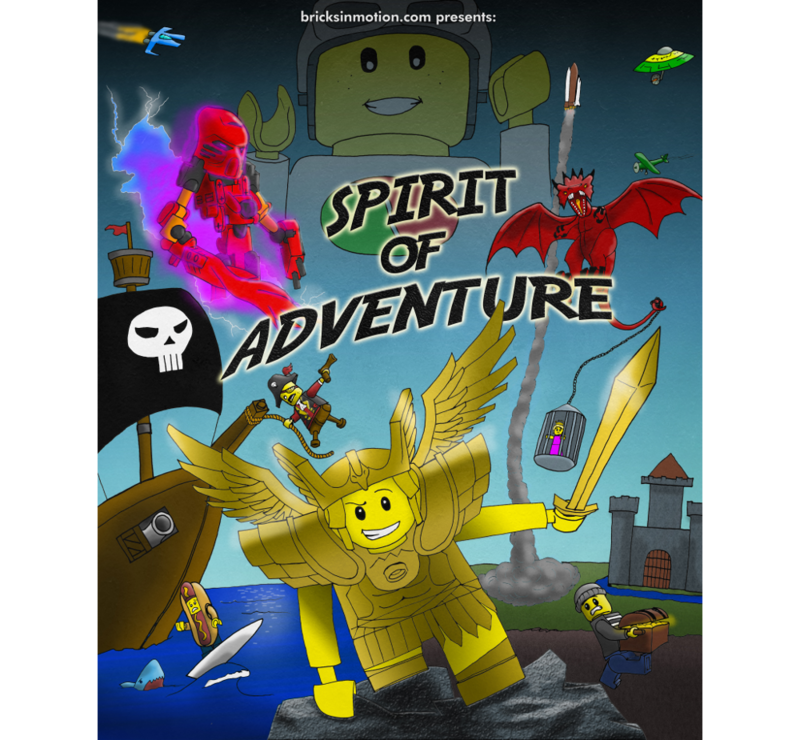 The theme of BricksInMotion.com’s 2017 contest is Adventure. The contest will run from June 5th to September 10th, and we have an exciting collection of prizes thanks to our contest sponsors: Dragonframe, Brickstuff, and The LEGO Animation Book. If you want to be a part of this competition, keep reading! Following two successful official contests based on an artistic concept, this time we wanted the contest to feature a theme that drives the story. 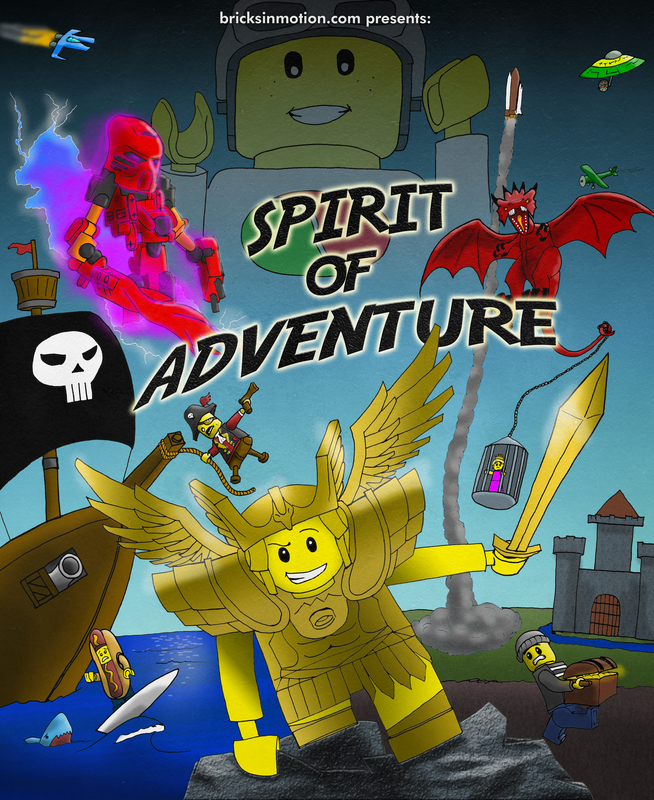 For the Spirit of Adventure Contest, we are looking for brickfilms that convey a sense of adventure. This theme is intentionally broad and is open to any interpretation. An adventure could take place in any setting and any time period. It could be any film genre, and could even be based on historical events. It does not need to be a dialogue-based film. As long as something adventurous happens, the rest is up to your imagination. Special thanks to all sponsors and judges, to Nathan Wells for collaborating on deciding the theme and for coming up with the contest name, to Nate Swihart for creating artwork on short notice (and with a vague brief), and to Philip Heinrich for guidance and general assistance. Prizes for this year’s competition are provided in part by this year’s sponsors: Dragonframe, Brickstuff, and The LEGO Animation Book, and all winners will also receive Bricks in Motion: The Documentary! For this contest, we are offering a prize pool of three prize packages. This means that 1st place gets to choose which of the three packages they want, 2nd place chooses from the remaining the remaining two, and 3rd place receives whichever prize package remains. 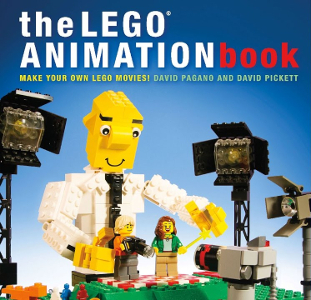 In addition, this year we have a signed copy of The LEGO Animation Book by David Pagano and David Pickett to give to one lucky winner of a Promising Director Prize. For more information on this extra category, see the Judging Panel section below. Dragonframe is the premium stop motion animation software that captured Laika's ParaNorman, The Boxtrolls and Disney's Frankenweenie. This software is easy enough for a beginner to learn, but offers a wealth of advanced features sure to meet the needs of any stop motion animator. 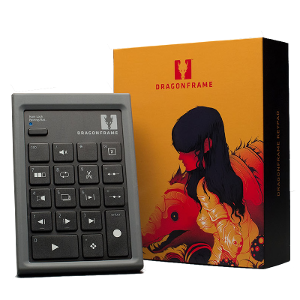 This includes the latest version of the software, Dragonframe 4, plus the new wireless bluetooth keypad controller. For Mac OSX and Windows. This versatile kit includes eight Brickstuff Pico LED light boards, perfect for fitting into small spaces. Based in Minnesota, Brickstuff custom manufactures a full line of lighting and automation products for LEGO builders. 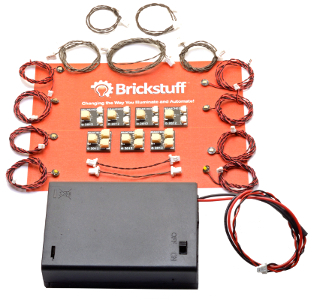 Brickstuff lights are the smallest commercially available lights for LEGO bricks, so you can put them right inside your bricks, and the wires are thin enough that you can snap your bricks, plates, and tiles right on top of the wires-- no need to modify your bricks or builds! Best of all, you don’t need to know electronics to use this system—everything fits together (just like LEGO bricks! ), and you can start small and add lights and effects as your collection of creations and MOCs grows. The lights are perfect for use in brickfilms to create just the mood or effect you need. 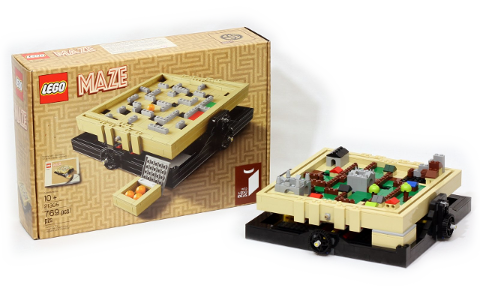 A sealed copy of the LEGO set 21305-1 Maze, containing 769 pieces. This is a wonderfully original LEGO set that would also make a great display piece. The set was created through LEGO Ideas and was created by the well-known designer Jason Alleman. (Fun fact: Jason Alleman was also once a brickfilmer, with his most well-known brickfilm being The Rescue from 2001; an adventure film). You can see Jason Alleman demonstrating the functionality of the set here. The set is recently discontinued. The LEGO Animation Book is an in-depth and fully illustrated guide to creating brickfilms written by veteran brickfilmers David Pagano and David Pickett. A labour of love written over multiple years, the book covers much more than the basics and is a useful resource to brickfilmers of all skill levels. The book will be of great assistance in taking the films of a newer member showing great promise to the next level. Entries will be judged on criteria including originality, production values (animation, set design, cinematography, sound, etc. ), story, and incorporation of the theme by the 5 judges. Rather than judging on categories individually, judges will examine how all these elements work together to create a complete film. Films will be discussed and ranked collectively by the judges until a consensus is reached. The top 3 films will eligible for the prize pool. Entries below 10th place will not be publicly ranked. All entries are eligible to win the Promising Director Prize. Many factors will be taken into account to determine the winner, such as the length they have been brickfilming. The winner will be an entrant who may not have the most developed technical ability but is showing great creativity and passion. Philip is an American director and producer. This year he publicly released the feature length documentary Bricks in Motion. 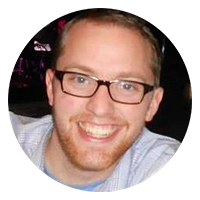 He is the owner of BricksInMotion.com, and served as the main administrator of the site from 2009 until earlier this year. His brickfilm works include Unrenewable, The Oven, and My Father is a Tyrannosaurus Rex. Bruno is an administrator of the French brickfilming website Brick à Brack. He has won awards and distinctions in multiple brickfilm festivals and award ceremonies for films including Indus, Delivering Mail, and Chef d'œuvre. 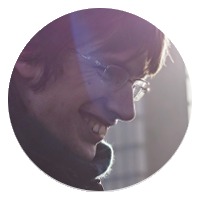 He recently coordinated the first ever successful French community project, Au-delà du brickfilm, which was released in May following a year and a half of work. David runs the popular LEGO enthusiast YouTube channel BRICK 101. He has been brickfilming since the days of VHS cameras in the 1990s, and his best known works are the Nightly News at Nine films, as well as the cult classic The Franky Job. Along with fellow long-time brickfilmer David Pagano, David Pickett runs the brickfilming blog The Set Bump and co-authored The LEGO Animation Book. This year, Pickett and Pagano released their first brickfilm co-production, The Magic Picnic. 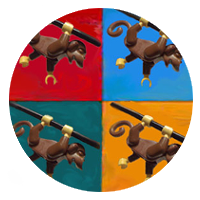 The Four Monkeys are a family of brickfilmers. They run the brickfilming website BrickfilmersGuild.com, host the BFG Podcast and run the annual Brickfilmer's Guild Film Festival. They are also known for brickfilms such as the Galactic Smugglers series. All entries must be primarily composed of stop-motion animation. 3D, Flash, or other animation techniques may be used to in addition to stop-motion as long as the finished product is at least roughly 70% stop-motion animation. Entries should use LEGO or similar building toys as primary elements. No mature/explicit content is allowed. This includes, but is not limited to: swearing, excessive/gory violence, overt sexual content, and blatant drug references. Minimum runtime is 1 minute, including any titles and credits. There is no maximum runtime. Remember, it is better to focus on quality and attention to detail than to make a very long and ambitious film, but let the quality suffer. A highly-polished three-minute movie is better than a ten-minute movie that falls apart because the director ran out of time to do it the right way. The judging system won't favor a film for simply being longer, but low production values will hurt a longer film when competing against a shorter film that is better made. Submitted films must be new films, created specifically for this contest. Films may not be posted publicly until after the contest deadline has passed. The entry you submit to the judges must be the entry made publicly available to everyone else. This means you can't submit a rough version for judging then post a polished version you spent more time on as though it were your entry to the contest publicly. You may post reworked versions of your film once contest judging is completed and results have been announced. Entries must contain only images, sounds, music, and story material which you have the rights to distribute -- no copyrighted content to which you do not have the rights may be used. No trademarked properties which might be confused with commercial enterprises may be used. This means you can not use storylines based on characters from Star Wars, Marvel, Ninjago, or other trademarked series. You cannot base your work on copyrighted material; however, old works that are now in the public domain are acceptable source material. All material included in films submitted must be original, or content that you have expressed permission to use. If you use content that is not your own, you must be able to provide proof that you have received permission to include it in your film. All music must be credited, even if you made it yourself. The deadline for submissions will be Sunday, September 10th 2017 at 11:59 pm UTC. Films may be submitted as early as the beginning of July 1st 2017, though they cannot be made public until after the deadline has passed. To submit your film, send a link to your entry to our BiM Contest forum account by private message. Our preferred method of submission is unlisted YouTube links. If you do not have a YouTube account, we also accept password-protected Vimeo uploads. Q: Are we allowed to use the contest logo in our entry? In the credits of our film, for example? A: Yes, although this is not required. If you want a high-resolution version of the logo to use in the credits of your film, here's a high-res version of the poster and here's a high-res logo on a transparent background for that purpose. Q: May we ask contest judges to voice act for our entries? Q: Should entries focus on a particular genre? A: Your film can fall into any story genre you like, as its story ultimately fits the criteria laid out in the theme section. Q: Can we collaborate with others to create an entry? A: Yes! Collaboration is encouraged. However, we won't be able to divide up the prizes evenly for you, so you'll have to determine who receives the prizes in the case of a win. Entries may be submitted on the basis of one entry per director, so you can help with someone else's entry and still enter a film you've directed. Q: May we post trailers, images, or other work-in-progress elements of our film publicly on the forum? A: This is encouraged! 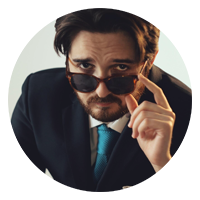 Feel free to post about the progress on your film in the forums. You can even make a thread devoted to your progress on a film if you like. Q: Can we use some non-LEGO elements in building our sets and characters? A: Yes. The intention of the rule is to put the focus of films made for the competition on LEGO animation. A: In order to maintain the integrity of the judging process, please only release the version you are submitting to the contest publicly at the time the deadline passes. Entrants who violate this rule may be disqualified. If you want to re-release a revised version of your film, you may do so after contest judging is completed and results have been announced. Q: Are we required to include any "mod elements" like BiM's THAC contest? A: No. Those are used in THAC to ensure films are created in the 24-hour period. You have three months this time. Even if you did submit a film you began working on before this competition was announced, that would be fine as long as you haven't released it anywhere before this contest, and it fits the theme of this contest. Q: How fast and loose should I play with the content restriction rules? A: Ultimately, we want winning entries that won't earn us angry emails from parents, or concern from contest sponsors (present and future) if they win and are celebrated throughout Bricksinmotion.com and our social media postings. This community has members of a diverse variety of ages and backgrounds in it, so for a competition we want to be respectful of that. These rules are undoubtedly going to be limitations for some filmmakers, but we believe it's still possible to make compelling, even dramatic stories within these limitations. Potentially, one could approach them as creative limitations that empower the filmmaker to find more original, inventive ways of conveying ideas in a story. Q: When can we share our films publicly? A: As soon as the contest deadline passes; here's a countdown clock. If you have further questions, feel free to reply in this thread. Yes! I've been waiting all day for this! Really awesome theme, with loads of possibilities! This looks great, may be time to brush the dust off the webcam. Oh what a perfect theme ! I'm so excited to get started! Best of luck to everyone . Awesome theme! Looking forward to getting to work on my entry. Yes! This is great! Really excited! If a frame were worth a dollar, I'd be a millionaire by now. What an awesome theme! I am a little sad that I can not enter. It is such an honor to be included as a judge for this prestigious annual BIM contest. I love the new Promising Director Prize. The contest entries will be so much fun to watch and judge. This is going to be one busy summer for me I've got a summer contest and a summer job to do, this is going to be fun! I'm a Brickfilmer that loves smooth animation and attention to detail. Whoa, the theme is awesome! It's a shame though, I won't be able to enter. I'm working on other projects and also just finishing entering the 15FPS level. Now officially titled "Lost Acronym Filmer"
Another quick question can we use custom figures like paper minifigure torso printing or something like that? Please read the Rules and Requirements section. If your ideas/entry conform to all of these requirements, then it is a viable entry. Ah, but there's no harm in asking for clarification. While the rules say that "Entries should use LEGO or similar building toys as primary elements," they aren't as strict in what other things you can use in your entry, Brickorbrack. People often use custom parts, prints, and even hands in their entries. As long as it's still qualified as a brickfilm (defined as a film that features and revolves around stop-motion animated LEGO elements), you'll be ok.
What rioforce says is correct. You can use custom pieces, paper, plasticine elements, etc in your entry. The same goes for filming techniques. As long as the primary focus of the film is stop-motion LEGO animation, you are allowed to include live action, hand-drawn animation, CG animation, etc. Wow, this is really going to be a challenge. I am looking forward to working on this this summer.